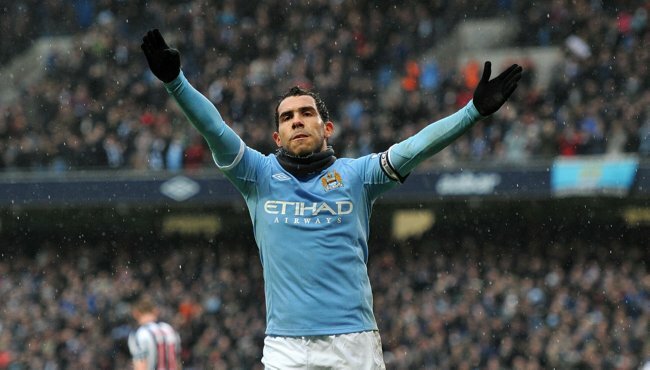 The BIG Question: Are Man City Genuine Title Contenders This Time Around? 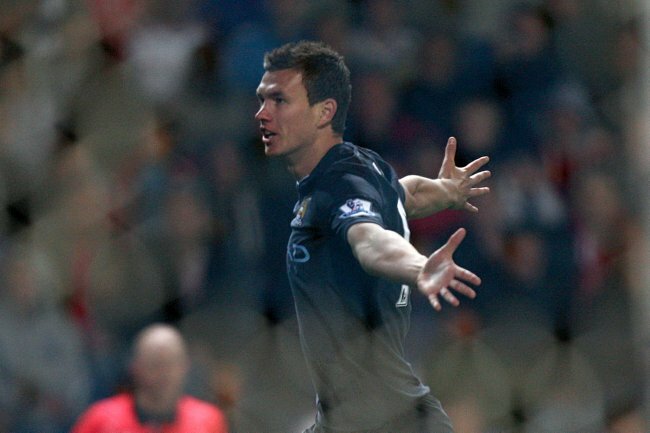 Sit back and watch the best of the 2011/2012 Premier League season live with Sky Sports HD. And lo, another £80-odd million from the Sheik’s loose change jar has been frittered away into the ether and Sergio Aguero – one of the most in-demand forwards in world football, or so we’re led to believe – is officially on board at £200,000-a-week for the next however long. Seeing as the vast swathes of money involved don’t seem to matter one iota, the acquisition of Kun can only really be described as a ‘coup’ from a City perspective, one more in a lengthening line of singularly impressive, if vulgarly expensive high-profile signings – indeed they’ve had to pay over the odds to capture player’s agent’s imaginations, but the size, strength and speed at which they’ve assembled their squad is mind-boggling, with bona fide quality now padding out most if not all quarters. 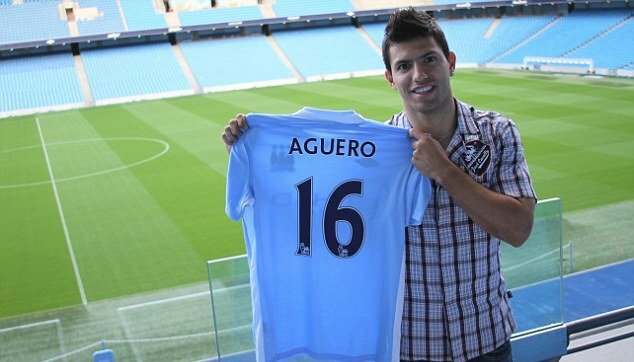 As well as being impressive, Aguero’s signing is also a timely one; with Jo now gone Carlos Tevez desperate to up-sticks and flee back home to Milan or Madrid to be closer to his kids, City are staring down the barrel of loosing their main, nay only continuous goal source from last season – goals without which, lets face it, they wouldn’t have managed a Champions League finish last year. That said, to my eye at least, City as a collective aren’t nearly as fractious as they’re continually pegged out to be. While your always going to have isolated schisms with uneasy, tempestuous players like Balotelli and Tevez around, the nucleus of the group seems tight enough from a footballing perspective (no more or less so than any other ‘big club’) regardless of all the supposed wandering eyes, flux loyalties and balls-out, shouting-at-traffic loonery – and, more importantly, while the growth on the pitch is running nowhere near parallel to that off it, they seem to be getting more and more cohesive as a first-string season-by-season despite the fringe faces rotate in and out on a bi-annual basis. 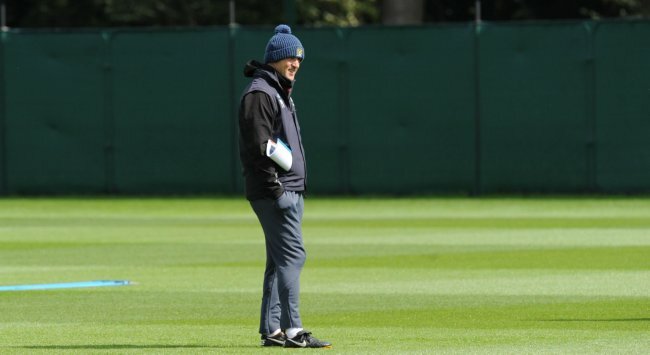 Admittedly City’s attacking ranks are yet to have been properly bedded in (a David Silva/Aguero connection could be golden next term), but Roberto Mancini has been busy over the last two years, sensibly building his side from the back forward. Bobby has staffed a solid central defense and defensive midfield with consistent, dependable performers – even the most stoic United fan would surely admit that they’d take Vince Kompany and Nigel De Jong in a heartbeat, no? City aren’t just a house of cards or a travelling revue show laden with expensive curios of the modern age, they’re a steadily improving footballing unit with their first silverware under their collective belts and a remarkably stable base considering how rapidly their commercial product has bloated around the globe – which is testament to Mancini’s level-headedness I suppose. City get their 2011/12 Premier League campaign underway with a Monday night game against newly-promoted Swansea on August 15th at the Etihad Stadium and, although the Welshies are somewhat of an unknown quantity, you’d have to expect that the groaning billionaires are going to kick things off with three points. The first Manchester derby of the season falls nine games into the season, at Old Trafford on October 23rd, with odd teasers here and there before a tricky run of fixtures ensues throughout late November and December that will see City squaring off against Liverpool, Chelsea, Arsenal, Stoke and Liverpool again over Christmas – not a bad little test of their mid-season title credentials. City’s run-in doesn’t look overly fraught with danger after April 7th’s trip to the Emirates (though, of course, you never know with these things) with West Brom, Norwich, Wolves, Newcastle and QPR all to play over the final two months – however, the ‘return leg’ of the Manchester derby is pencilled in for 28th April which could, along with all the usual froth and fury, transmogrify the blue half’s third-last game of the season into a make-or-break affair. Any road up, I’ve rambled on long enough and the question must now go out: do you reckon City have what it takes to seriously jab a thumb in the eye of United and Chelsea’s little game of pass-the-parcel with the Premier League title this coming year? Or are they still trying to ‘run before they can walk’, so to speak? This season, Sky Sports will be showing 115 live Premier League fixtures, with every match available in HD and selected matches in 3D. Every single Barclays Premier League team shown live in the first set of Sky Sports HD fixtures, and all three newly-promoted clubs shown live at least three times by the end of November. 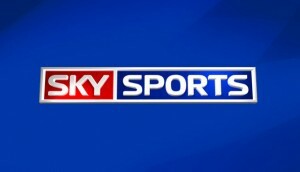 Sky Sports will be covering all the big head-to-heads, including Manchester United’s heavyweight clashes with Arsenal (Aug 28th) and Chelsea (Sep 18th), as well as screening seven major derbies in HD including Everton v Liverpool (Oct 1st), Tottenham vs Arsenal (Oct 2nd) and the Manchester derby followed by QPR vs Chelsea (both on Oct 23rd). Please note however, that all fixture are liable to change – we wouldn’t want you to miss out! Sign up with Sky Sports Football and feast your peepers on the 2011/2012 Premier League season in glorious HD. It wont be long before the “team” implodes. No. Coach is not good enough. I think they can mount a challenge, though they’re hardly favourites. Question is how the handle the CL at the same time. They’ve got a big – and deep – enough squad for sure, but it’ll ask questions for a club inexperienced with such matters. Spurs couldn’t hack it. I don’t expect City to drop out of top-4, but the title? Not this year. If they couldn’t win it last season, when Man United & Chelsea seemingly really didn’t want to, then probably not. They have world class forwards but not a world class midfield (Toure and Silva to a less degree are the only ones that could in any top team) and that’s where you win games. They only have a chance because smaller EPL teams play counter attack and not a possession game. This is also why Man City won’t do well in Europe, especially in a two legged tie. They may finish 4th at best, 6th at worst. Not a chance. They will fight for 4th and probably will miss out. even’t without signing anyone I would have backed them for finishing ahead of Arsenal this year. I can’t see them finishing higher than 3rd but I can see them closing the gap on the top 2. Well, if Mancini lets the boys score a few goals, we might be in with a shot- this whole ‘let’s win 1-0’ thing has got to stop. Winners are built from the back, and we have defensive quality to be sure- best keeper in the Premiership, one of its two best center backs, an absolute terrier of a DM, and the depth both in the center and on the wings. They all return, so the league’s stingiest defense should stay similarly parsimonious. IF-the big if- the more advanced players can somehow find the back of the net, then we’ll be golden. Balotelli has got to mature, and Dzeko still needs some time and some work. If Tevez does indeed go, Yaya Toure and David Silva will need to contribute more goals than last term. Kun Aguero seems to be a fine footballer indeed, but he will need to settle much faster than Silva did last term for us to have the start required to be contenders; that said, he looks a ready made, like for like replacement for Tevez; not as strong or committed by increments, but incrimentally more skilled, tricksy, and tecnical. He must continue his prolific goal scoring form posthaste. All in all, I think we will challenge quite seriously. This may not be our year, but why not us? It will be a close run thing, it will be fun to watch, and I am certain we will not finish the season any worse off than Manchester City FC finished the last. We’re on the march with Abu Dhabi, we’re buying everyone we see, and we’ll really shake them up, when we win another cup, because Man City is the best team in the league!!! As a United fan actually I wouldn’t take Kompany cos we have Vidic, Rio, Smalling and now Jones. And De Jong is rubbish so of course we wouldn’t want him, even Carrick is preferential to Xabi Alonsos assasin. Having not read any of this blog, the simple answer is yes. They came third by goal difference this year, with an unsettled team. Now they have added even more genuine class. You would have to be a class A moron, or a man united support, or a man city supporter not to believe that City are serious contenders. get the attacking players to work off the ball and work cohesively into a unit so that he doesn’t have to keep playing a “third” defensive midfielder as he has done since he got there. Two. 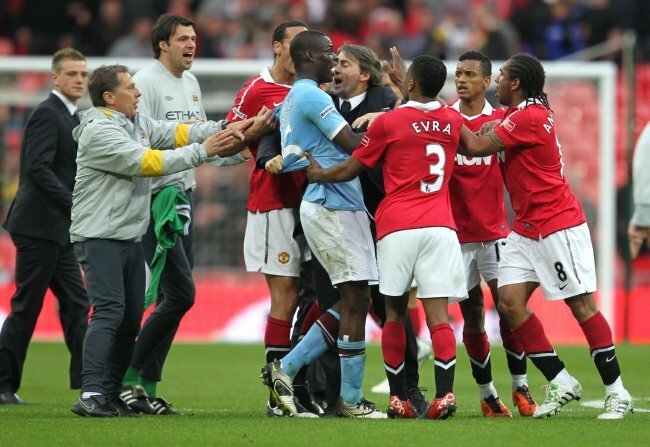 Why take Kompany when we have Vidic and Ferdinand. The best Central Defensive pairing in the world. In fact we have the best Defense in the world PERIOD !! Four. City won’t challenge this season because they as a team are not quite their yet. There is no unity no team ethic. Five. Ballotelli is a clown, Dzeko is a waste of £27mill and the only person who can unify the team together wants to leave. Six. They struggled last season in the Europa League against Lech Poznan and Dynamo Kiev so to think that they won’t struggle again is hard to believe as the competition will be much harder. I also believe inexperience will kick in and they won’t be able to handle the demands of the EPL and CL. Seven. Well I can’t think of anymore points to make other than……..
Its the number that ronaldo, beckham and cantona wore. Best number in the world. GLORY GLORY MAN UTD !!! LOOOL…just LOOOL at might United fans! Question for all the city fans out there, did anybody happen to catch the Community Shield game? I missed it, and I was wondering if you could tell me the score.